Georgia lawmakers are investigating what they call systematic bias against conservative and Christian students at Kennesaw State University. “They are threatened. They are retaliated against all because of their viewpoint,” State. Rep. Earl Ehrhart said Wednesday on the Todd Starnes Radio Show. The taxpayer-funded university is already facing two federal lawsuits alleging bias against conservatives. “It’s a scary thing on campuses today,” the state lawmaker told Starnes. Donald Trump Jr. and Eric Trump tag teamed former Republican presidential candidate Jeb Bush on Twitter late Wednesday night. Bush took a swipe at President Trump in a Tuesday speech at Yale by implying that the first children don’t love their father. Trump’s adult sons clearly took issue with Jeb’s joke. “I actually love my father very much,” Eric tweeted before bringing up one of Bush’s most embarrassing moments from the campaign. The world’s richest pirate, Captain “ Black Sam ” Bellamy may have eluded capture in life, but efforts to bring him in are still underway – for science, if not justice. He was one of the most notorious pirates of “the seven seas.” During the 18th century, the “Golden Age” of piracy, his seafaring robberies led him to become the richest pirate ever known, accumulating a wealth equivalent of $120 million in today’s money. His ship, the Whydah Gally, held more than four and a half tonnes of gold and silver when it was captured in 1717. It later sank off coast of Cape Cod the same year. Even the Fed’s heavily massagedPersonal Consumption Expenditures (PCE) metric is growing at 1.8% on an annualized basis, only slightly below the Fed’s so-called target rate of 2%. Rep. Debbie Dingell (D-MI) used an April 2 Fox News Liveappearance to announce that she is preparing to introduce legislation to create a federal law allowing firearm confiscation orders. Announcements of scheduled appearances for the widely anticipated $850-to-attend book tour by fired FBI Director James Comey foreshadow a much-ballyhooed return to the public square. Media outlets eagerly booked the former director, and his opus, “A Higher Loyalty: Truth, Lies, and Leadership,” briefly jumped to No. 1 on Amazon’s best-seller list. But should Comey — a central witness in special counsel Robert Muellerprobe — be making public his version of events which will certainly differ significantly with what President Trump, the central target in the special prosecutor’s probe, has repeatedly stated? Comey was humiliatingly removed by the president last May and enjoyed a brief period of bipartisan sympathy for the disgraceful manner in which he was dispatched. The FBI’s seventh director learned of his termination via televised news reports while appearing before an FBI audience in Los Angeles. This is not the manner with which career public servants should ever be separated from service. Yet, with the current president, it has become de rigueur. And, just like that, Comey conceded the tiny sliver of moral high ground he precariously clung to and reduced his position as an advocate of the pursuit of facts into a narcissistic quest to sell books. He unwittingly joined Trump in the pig-wallow that currently serves as civil discourse. Breaking News: The suspect in the shooting at YouTube's headquarters was a woman who apparently killed herself, the police said. At least 4 were wounded. At least four people were injured, one of them critically, in a shooting at YouTube’s headquarters in San Bruno, Calif., on Tuesday afternoon, the police said. The shooter, who the police said was a woman, died from an apparently self-inflicted gunshot wound. Brent Andrew, a spokesman for San Francisco General Hospital, said at a news conference that the hospital had received three patients: a 36-year-old man in critical condition, a 32-year-old woman in serious condition and a 27-year-old woman in fair condition. The condition of the fourth victim, and what hospital he or she was at, was not clear. “Act now Congress, our country is being stolen!” Trump wrote on Twitter on Monday morning. Trump said that “weak” border laws passed by Democrats prevented border patrol and ICE agents from enforcing the border laws. “Congress must immediately pass Border Legislation, use Nuclear Option if necessary, to stop the massive inflow of Drugs and People,” he wrote. The police in San Bruno, Calif., confirmed a shooting at YouTube’s headquarters on Tuesday afternoon. Several people were taken to the hospital with gunshot wounds. 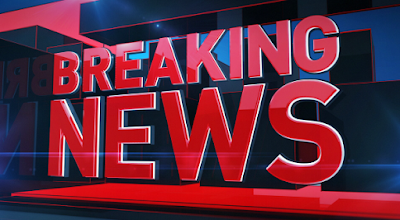 “We can confirm there is an active shooter,” said a woman who answered the phone at the San Bruno Police Department. She hung up before giving her name. NBC Nightly News credited a Marjory Stoneman Douglas High School teacher for “grooming” the anti-gun Parkland student activists who’ve become the faces of the establishment’s latest gun control push. In other words, a generation of kids that are willing to give up their own rights and expect the rest of the country to do so as well. Hey Obama Supporters, How's That "CHANGE" Working For Ya? Most dishwashers manufactured since 1994 use seven to 10 gallons of water per cycle, while older machines use eight to 15 gallons. Newer designs have also improved dishwasher efficiency immensely. Hot water can now be heated in the dishwasher itself, not in the household hot water heater, where heat gets lost in transit. Dishwashers also heat only as much water as needed. A standard 24-inch-wide household dishwasher is designed to hold eight place settings, but some newer models will wash the same amount of dishes inside an 18-inch frame, using less water in the process. If you have an older, less-efficient machine, the Council recommends hand washing for the smaller jobs and saving the dishwasher for the dinner party’s aftermath. Rep. Elizabeth Esty, D-Conn., announced Monday that she will not run for re-election in November after she kept a top aide on staff for three months after learning he was accused of punching a female aide and then threatened to kill her. "It is one of the greatest honors of my life that the people of Connecticut’s Fifth District elected me to represent them in Congress," Esty said in a statement. "However, I have determined that it is in the best interest of my constituents and my family to end my time in Congress at the end of this year and not seek re-election." "Too many women have been harmed by harassment in the workplace. In the terrible situation in my office, I could have and should have done better," Esty said. "To the survivor, I want to express my strongest apology for letting you down. In Congress, and workplaces across the country, we need stronger workplace protections and to provide employees with a platform to raise concerns, address problems, and work to reduce and eliminate such occurrences, in the first place." Maryland Natural Resources crews stocked 12,000 trout today across Maryland. Go to our trout stocking webpage for a full list of stocked locations. Purchase your fishing license and Trout Stamp here. Sen. Tim Scott (R-S.C.), a member of the Armed Services Committee, said without an act of Congress, President Trump cannot use military funding to pay for his border wall, as Trump suggested he might do. "I think it would take an act of Congress to make sure that we prioritize and appropriate the dollars for that objective," Scott told CBS's "Face the Nation" on Sunday. "The reality of it is, as commander in chief, he can certainly send signals through (Defense) Secretary Mattis, have a conversation with Congress about where those dollars should be spent. The good news is, we're spending. We're providing more money to the military than we have in a very long time, more than a decade," Scott said. "The unfortunate reality is that the priorities of the DOD have already been set. However, our southern border is very porous. 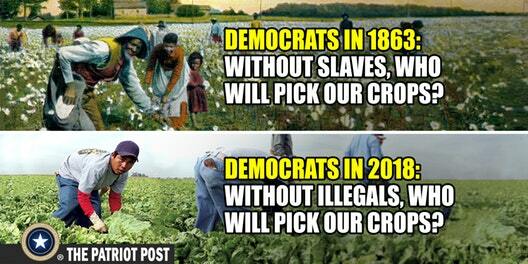 The truth is that more folks came through our southern border that did not come from Mexico. It is certainly a national security issue." Scott said it's more appropriate for the Homeland Security Department, rather than the Defense Department, to "find the resources" to build Trump's long-promised wall. Breaking News: "We're going to be guarding our border with the military." President Trump said he'd take a "big step" while seeking "a wall and proper security." President Trump said that he planned to order the military to guard parts of the southern border until he can build a wall and tighten immigration restrictions, proposing a remarkable escalation of his efforts to crack down on migrants entering the country illegally. Mr. Trump, who has been stewing publicly for days about what he characterizes as lax immigration laws and the potential for an influx of Central American migrants to stream into the United States, said he had been discussing with Jim Mattis, the secretary of defense, about resorting to military deployments. The Justice Department has notified immigration judges that it will begin evaluating their job performance based on how quickly they close cases, aiming to speed deportation decisions and reduce a lengthy backlog. The union representing immigration judges counters that the metrics are a threat to their judicial independence, while lawyers warn they will unduly influence judge’s decisions. We have been experiencing comment issues for the past few hours not being able to see or moderate them. Please be patient and I'm sure Blogger will have it resolved soon enough. 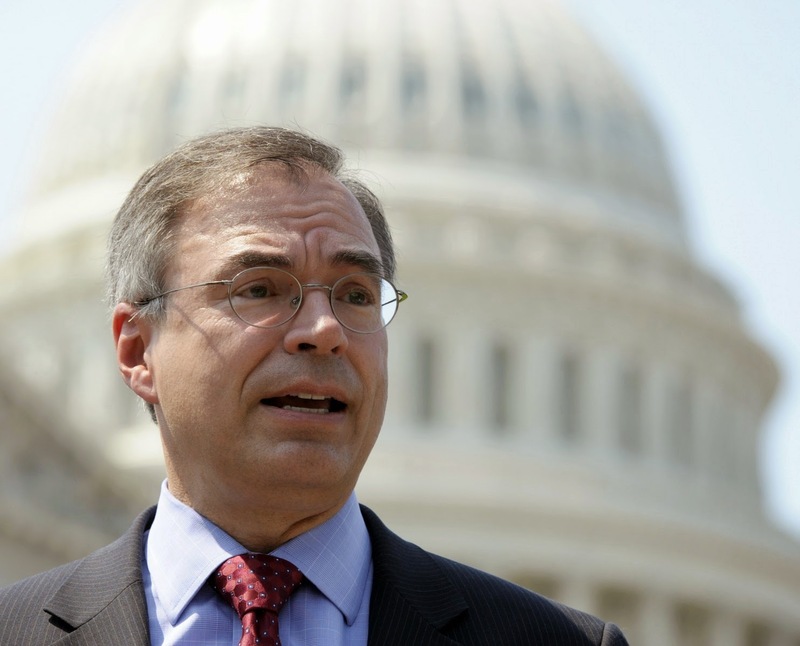 WASHINGTON DC: On Saturday, April 7, Congressman Andy Harris, M.D. (MD-01) will visit two U.S. Army Corps of Engineers projects underway around Smith Island. The projects entail the construction of two jetties to improve navigation at Rhodes Point and dredging the Big Thorofare and Twitch Cove federal channels. Members of the media are welcome to attend these visits with Congressman Harris and his staff. Transportation to Smith Island will be provided. The boat will depart from Somers Cove Marina promptly at 10:30 AM. Following the USACE project visits, Congressman Harris will host his 68th town hall meeting on Smith Island. Congressman Harris will answer questions and speak with constituents to discuss various issues that are facing the nation. All residents of Maryland’s First District are welcome to attend the town hall to ask questions and voice their concerns about issues under consideration in Congress. For questions about the event, please contact Congressman Harris’ Washington, DC office at 202-225-5311. Because space on the boat is limited, media outlets interested in attending the event must RSVP by April 5 to Jacque Clark at Jacque.Clark@mail.house.gov. On March 25, the First United Methodist Church of Louisville, Mississippi voted 175-6 to leave the “United Methodist” organization. Going forward, they hope to be known simply as the First Methodist Church of Louisville. Rev. Mike Childs told The Daily Wire that the departure has “really been a long time coming.” Specifically, Childs feels the United Methodist Church (UMC) has failed to correct major failings in the organization, such as the election of a lesbian bishop — something both anti-scriptural and against the rules of the United Methodist Book of Discipline. Our church Book of Discipline, our church law says that the practice of homosexuality is incompatible with Christian teaching, yet we have a gay bishop, and a whole jurisdiction of our church in the United States — the Western Jurisdiction — that will not enforce that. As far as the legal separation from the United Methodist Church, Childs noted that his congregation isn’t the first in Mississippi to leave. He added that they’ve been operating under a certain framework, bringing in a CPA to “do an audit of the church,” as well as getting the church appraised. America knows Marjory Stoneman Douglas High School students through mainly a handful of pro-gun control activist students, but according to a faculty member of the school where the deadly shooting took place, many other students say the most visible activists do not represent them. “I’ve had some students approach me privately to talk to me about it, but I should note that those student activists none of them were ever in any danger during this whole thing…none of them except for the one girl Samantha Fuentes,” the faculty member said, on the condition of anonymity, during an interview with NRATV that aired Friday on Dana Loesch’s “Relentless” program. 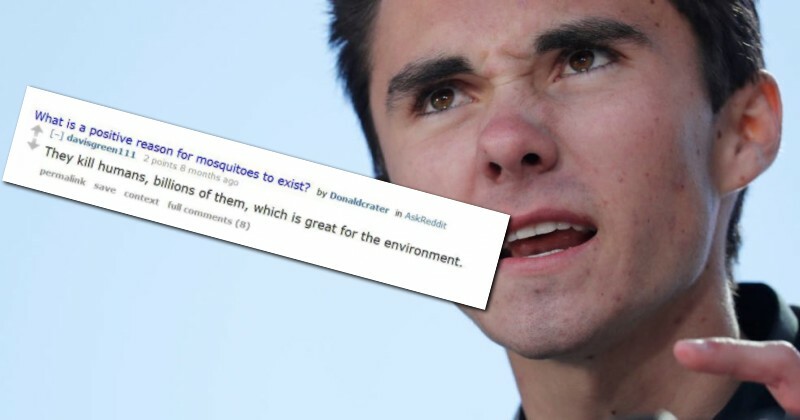 Stoneman Douglas students David Hogg, Emma Gonzales, and Cameron Kasky have been notable media representatives of their school and spoke at the “March for Our Lives” protest in Washington D.C. last Saturday, advocating for gun control policies. Conservatives’ expectations for honest and fair movies coming out of Hollywood are understandably low. For decades now we have been brow-beaten and lectured by clueless celebrities on everything from saving the Spotted Owl to gun control – the latest flavor of the moment. Producer Mark Ciardi has a winner, and perhaps it’s his record of brilliantly telling true sports stories (Invincible, The Rookie, Miracle, and Secretariat) that so influenced a talented group of director and actors – liberals all – to buy into a straight-up, no spin or bias, telling of this story. As one might expect, longtime Ted Kennedy senior aide and speechwriter Bob Shrum, trashed the movie (likely without even seeing it) as “a disservice both to the victim and the truth.” On the contrary, the movie is a revelation of truth exposing the decades-long cover-up that Shrum, and other defenders of the Kennedy faith, have long perpetuated. President Donald Trump said Sunday that he will no longer work with Democrats to hammer out a deal to provide legal status to hundreds of thousands of “dreamers,” illegal aliens who were brought to the U.S. as children. But then there was what may have been the worst understanding of Easter — this one from CNN.. 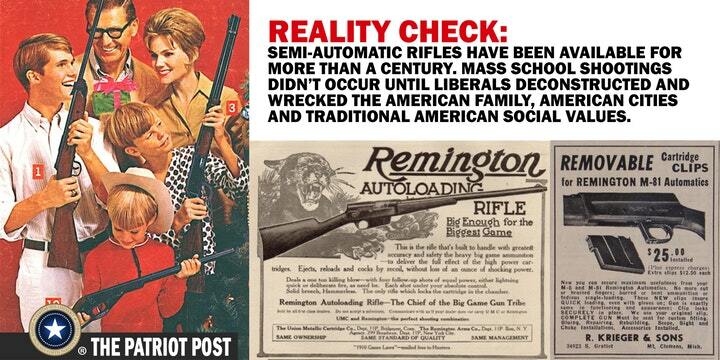 When facts are inconvenient, the anti-Second Amendment crowd has been swift and successful at just making stuff up. With the left-leaning Fake News media in tow, anti-gun zealots have many Americans believing that firearm-related deaths outpace car crash fatalities. The term “assault rifle” qualifies as one of the gun-hating lobby’s false and misleading terms that has infected a national debate on appropriate and responsible firearm ownership. The term has an air of danger and aggressiveness that makes uniformed people afraid. That’s exactly the point. By taking a factual look at what “would” constitute an “assault rifle,” if such a thing existed, and the reality about the firearms, it’s easy to see that anyone who believes they are a greater danger than a revolver has been thoroughly duped. What Does “Assault Rifle” Really Mean?